For the last 6 years – since we moved to the USA from London my little family has been dining on a basic white round table from Ikea. We loved it when we bought it and lord knows we have had great use out of it but with more and more guests on the horizon and finally being able to entertain in our home it was high time to splash out and get a new table. I have been keeping my eye open for a table for a while but I wasn’t getting very far – I really was torn about what to buy…wood or white? make our own concrete topped one??? Modern or traditional? I actually found this image on the Novogratz facebook page taken from the NY Times blog, the photograph is by Magnus Marding. The combination of modern & traditional is right up my alley and the legs on the above table are amazing. And so with this image in mind I finally knew what style I was looking for and after some time I found it. 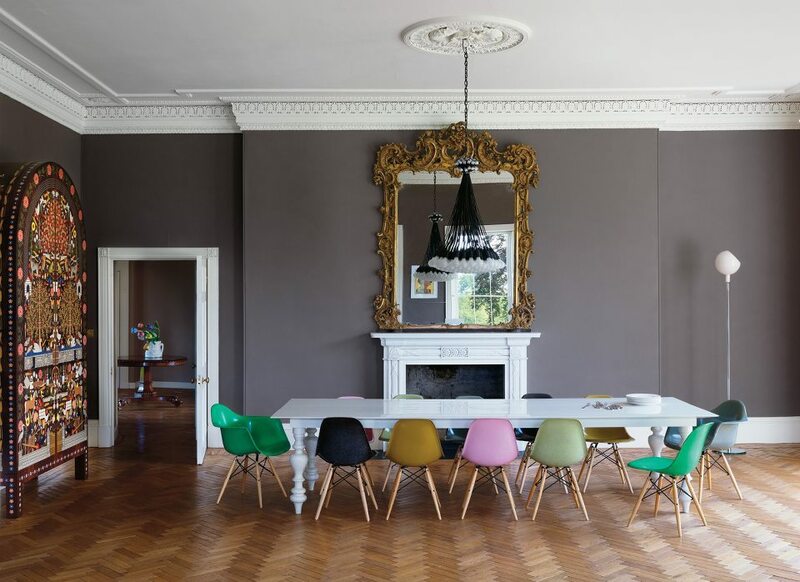 Yes, I have finally chosen a dining table…..
As for the chairs I am thinking I will add in some white modern eames moulded chairs around it to play off the traditional lines. Exactly like the ones in the first image above. What do you think – do you like the Black & White combination or would you add in some color???!! ← New Year Tidings and Inspirations …..
Maybe black and white chairs with two emerald green chairs at the heads of the table for and your hubby? Yes I love the bright green chairs! Love the colorful mix of chairs! Thanks Amy, I’ve updated the post with the right links!